Announced and released two months ago, in November 2017, the Razer Phone might get a successor sooner than we'd expect. According to French website FrAndroid (usually a reliable source), a well-informed insider has it that a second generation Razer handset, possibly called Razer Phone 2, should be released in September 2018 - less than one year after the original model. Interestingly, FrAndroid notes that the Razer Phone 2 might be launched at the same time with a commercial version of Project Linda (pictured above), though the folks at Razer haven't made a final decision on this yet. 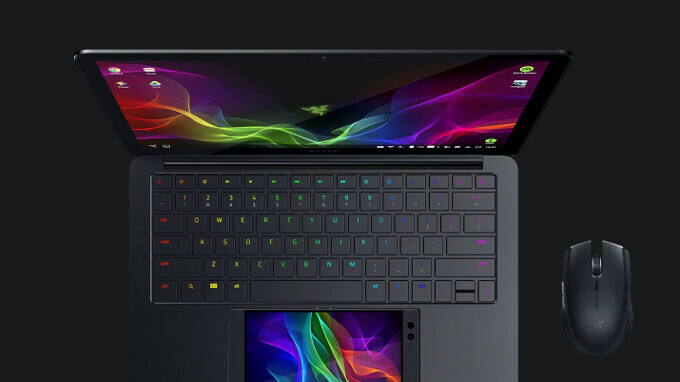 First showcased at CES 2018 earlier this month, Project Linda is a 13.3-inch laptop that uses the Razer Phone as its brains and touchpad, while featuring an extra battery and extra storage space. The phone can be easily docked into the laptop to create a hybrid mobile device for a superior gaming experience and enhanced productivity. At the moment, there are no details on the design and features that the Razer Phone 2 could bring, but we're certainly expecting this to be a very powerful device - otherwise, it wouldn't be a worthy successor to the current Razer Phone model, which offers features like 8 GB of RAM, a Snapdragon 835 processor, and a Quad HD screen with a rare 120Hz refresh rate. As the tweet below is indicating, Razer CEO Min-Lian Tang is obviously considering making Project Linda a real product. It remains to be seen if this can happen in 2018. This reminds me of the Asus phone and laptop dock which was amazing but too expensive. I hope it works and that it will be sold at a reasonable price. Hmm.. Running Android or Windows on Arm ? IF this were a W10A product it would make a ton of sense for gaming.